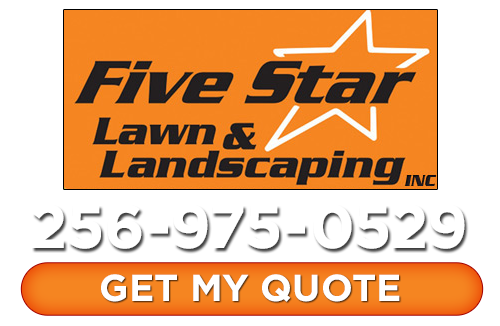 Thank You for Subscribing | Five Star Lawn and Landscaping, Inc. Thank you for signing up for our monthly landscaping newsletter. You should receive your first newsletter within the following month. If you are looking for a Huntsville landscaper, please call Five Star Lawn and Landscaping, Inc. at 256-975-0529 or fill out our online request form.